There are so many productions I want to see this summer, and whilst I haven’t got time to see them all, some of them might be of interest to you. There are a huge number of tours that I’ve got my eye on as well a new shows opening in London that I’m hoping to get to see (although with the crazy theatre schedule I’ve had this month, I think I need to calm it down a little bit), so this is sort of a mental wish list for me that I get to share with you. There are a couple of productions launching in the West End over the summer, as well as a few Off-West End shows that I’ve got my eyes on. The first one I actually already have my ticket for: Fun Home at The Young Vic. Fun Home won 5 Tony Awards in 2015, and tells tale of Alison Bechdel’s discovery of her own sexuality and her relationship with her gay father throughout 3 periods of her life. Opening in June, I have to wait until the end of August to get to see if which is so frustrating but it means I have something to look forward to just before I go back to work in September. There is a new show hitting the Arts Theatre in July: Knights Of A Rose. Knights Of A Rose is running from the end of June until the end of August, and is a rock musical featuring the songs of Bon Jovi, Meatloaf, Bonnie Tyler and No Doubt. This is a fusion of popular culture, with an air of Game Of Throne and Bat Out Of Hell. Southwark Playhouse is a brilliant venue that I’ve already been to once already this year to see Pippin. Now there are three shows that have caught my eye playing between now and September. The first is Confidence running from 23rd May, which I actually know very little about. 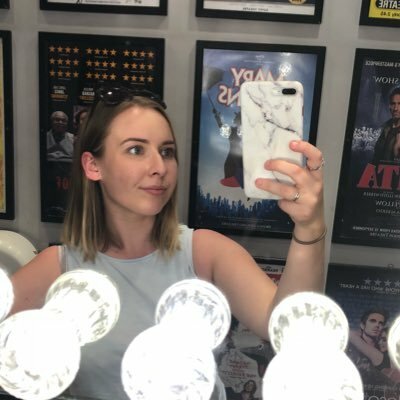 However, this production is Tanya Burr’s London stage debut and I’m genuinely interested in how she performs (despite not being too keen on the casting when it was initially announced). The second is The Rink, which is making its first London revival in almost 30 years at the end of May. Through a series of flashbacks, Anna owns a roller rink in a seaside town and wants to sell it on. Unfortunately for Anna, her daughter returns and complicates things a little. And last but not least is the one I’m most excited about. Last September I had a ticket to the Bring It On The Musical tour at Milton Keynes Theatre which sadly got cancelled, but fortunately for me it’s making its way to the Southwark Playhouse in August. The clips I’ve seen of the Broadway production has the most brilliant choreography. With Milton Keynes being one of my local theatres, I pay attention to what’s going on there the most as it’s easy for me to get there after work. From tomorrow (23rd April), The Play That Goes Wrong begins an 8 show run at Milton Keynes Theatre and it was one of my favourite shows of 2017. I’m really excited that I’ll get to catch it again whilst it’s touring, but if you’ve missed your local stop, The Play That Goes Wrong is now booking into 2019 at the Duchess Theatre in London. I’ve even managed to get a sneaky little syndicated interview to share with you from one of the writers about The Play That Goes Wrong, in case your arm needs twisting any further. It’s a comedy all about a drama university group who are putting on a play and everything that could possibly go wrong…goes wrong. There’s a big cast, there’s lots of jokes and it pretty much does what it says on the tin. Mischief Theatre started off in 2008 as a group that specialised in improvised comedy but now we create new comedy for theatre and television. We began performing in Edinburgh and London and are now bringing our work to lots of different places all over the world! There are three writers so there are a few different answers. I suppose we have all worked in theatre and have experiences of things going awry in shows we have been in. Some of my favourite moments watching theatre has been where things have gone dreadfully wrong and the actors are forced to deal with the mistake and try to keep the show on track. On top of that a huge influence for us is a man called Michael Green who wrote The Art of Coarse Acting and actually taught one of the writers, Henry Lewis, at youth theatre. Then there’s a huge amount of physical comedy which is definitely a nod to Chaplin and Keaton. The three of us were living together at the time in a pretty run down flat in Gunnersbury. We were all working in bars and call centres and restaurants and, in the evenings, we’d come home and we’d write until the early hours. The initial script I think took about a month to put together and we then workshopped the script with the rest of the Mischief team. Everyone’s done a lot of improv so we try and take those principles into the writing room and into rehearsal where if someone has an idea you accept it and you build on it. Haha! Nobody is being directly spoofed! The characters were all found in rehearsal and through performing in front of an audience. That said we’ve all been part of productions that have gone wrong and we’ve all made mistakes on stage (although hopefully nothing as catastrophic as in this play!) so there’s a lot of experience to draw on for finding who the characters are and how they respond to embarrassment. Lots of actors come up to us at the end of shows, be they professional or amateur, with some fantastic stories of things that have happened to them in different productions. I think the show has quite a cathartic effect for them. But it’s not just actors, I think the idea of making a fool of yourself in front of a huge number of people is something that everyone can relate to. Everyone has felt that feeling where they want the ground to open up and swallow them, so they get on side with the characters in the play and they really want them to get to the end of the show! Absolutely. I remember about six years ago performing in our improv show and there were more people on stage than there were in the audience so of course it’s a surprise! We’ve been totally blown away by the response. We’re so thrilled that people enjoy the work and the characters and that we’ve been able to make so many different people laugh. The show began in such a small way performing in a 60-seater pub theatre so for it now to be being enjoyed in huge venues all around the world is very humbling and wonderful. The Play That Goes Wrong is at Milton Keynes Theatre, Monday 23 – Saturday 28 April, before continuing its UK tour. Ohmigod, ohmigod you guys, Legally Blonde The Musical is making its way around the country and hits Milton Keynes Theatre at the end of May and I can’t wait! I didn’t ever get the chance to see this during its West End run and I’ve been mad at myself ever since. You think that watching the film gets your ready to take on the world? Try listening to So Much Better, the act one finale, and really build yourself up to smash the system. A musical I fell in love with when I saw it on the West End is Matilda The Musical, which is currently touring all over the country. Tim Minchin’s score brings the Roald Dahl classic to life, and is one of the most clever pieces of writing on the stage right now. I’m hoping I get the chance to see this at Milton Keynes Theatre for its month-long run in June, especially after my mum went to see it in Leicester without me last month! Shows that are a little further afield, or just places that I wouldn’t normally go to see productions, include the Mischief Movie Night tour (which I missed at the Arts Theatre over Christmas, and I was gutted as I love Mischief Comedy), Beautiful – The Carole King Musical tour, and Aspects of Love at the Hope Mill Theatre. There are so many new shows available to me, and all of the UK, and I just don’t know where to start! In fact, this has definitely not helped me narrow down my choices. I have a problem, and I’m not even sorry.